Editors Note: This is the first installment of our weekly series profiling the eight remarkable sites that are part of the Hidden City Festival 2013. 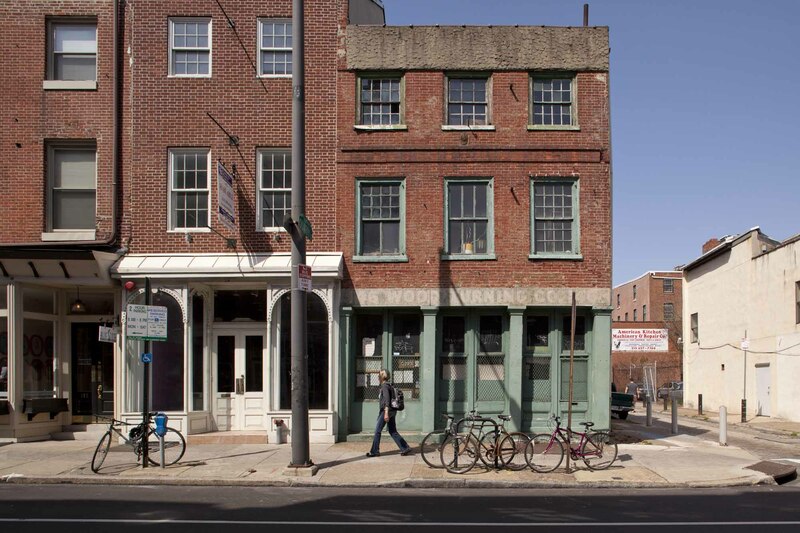 The Festival will take you to places you’ve never visited but might have always wondered about, from Germantown’s vacant Town Hall to a former fraternal lodge in Powelton. Each site has been transformed by a series of art projects that are participatory in nature–and that means we need you to take part! You can check all of it out here. 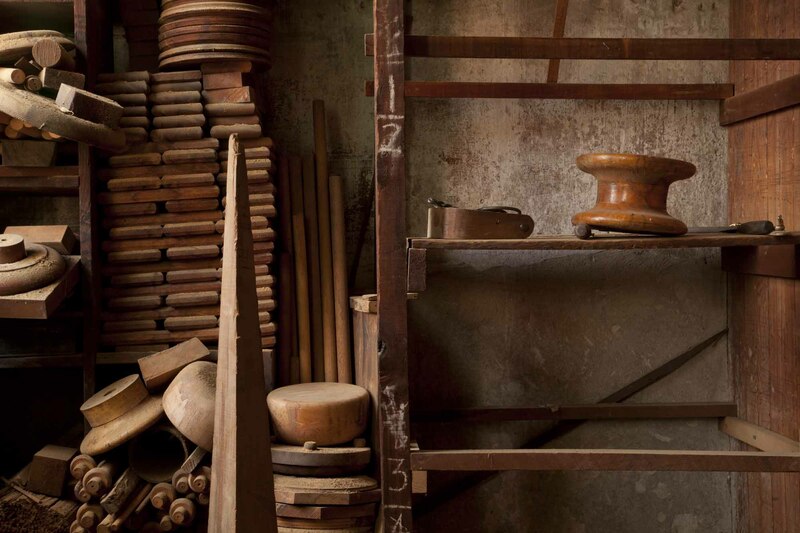 When John Grass opened his woodturning workshop in 1863, Old City had already been a light manufacturing center specializing in clock and watchmaking, smithing and textiles for more than a century. The steam engine transformed the district in the 1830s and bigger concerns took over. 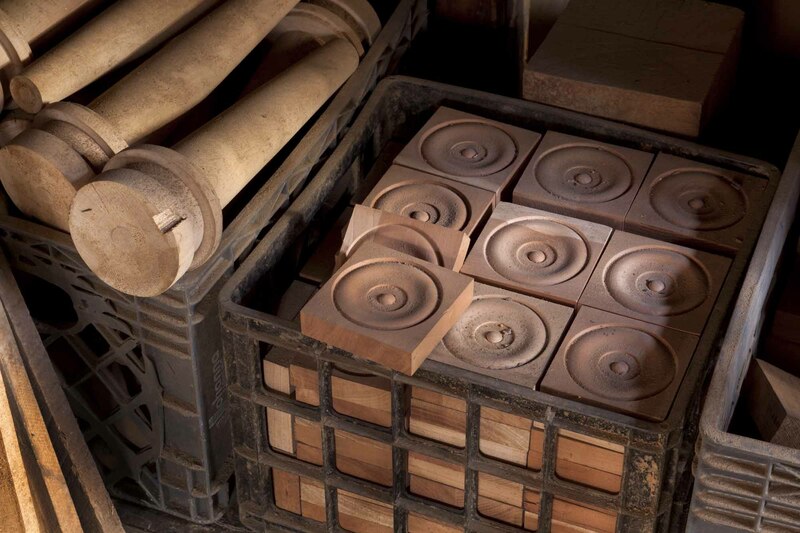 Several of them, including Grass, specialized in woodturning for furniture, balustrades, tool handles, and flag poles. Grass came to the US from Bavaria in 1853 at age 15 and apprenticed in New York. 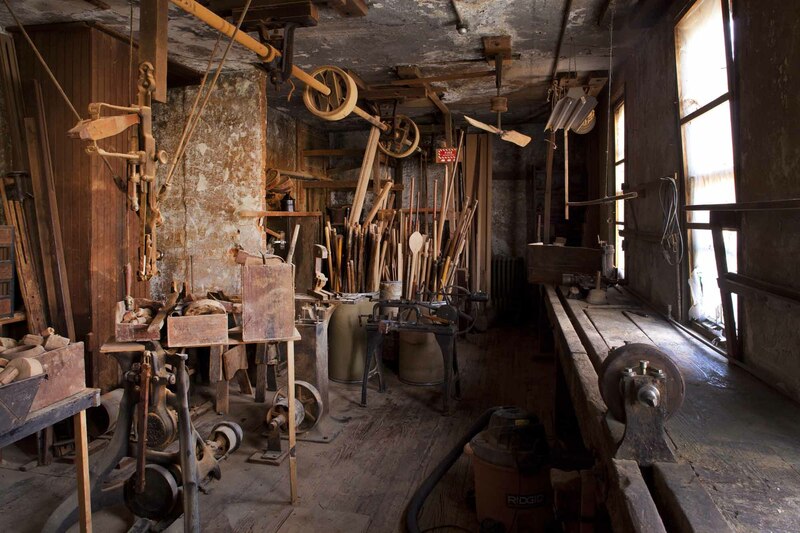 His shop would come to specialize in tool handles often made for the nearby John Stortz tool company that is still in business and was previously featured in the Hidden City Daily. The Grass story is exceptional for the longevity of the business, but Grass himself was one of a wave of talented and entrepreneurial immigrant craftsmen, including Stortz, who transformed the American economic landscape in the late 19th century. 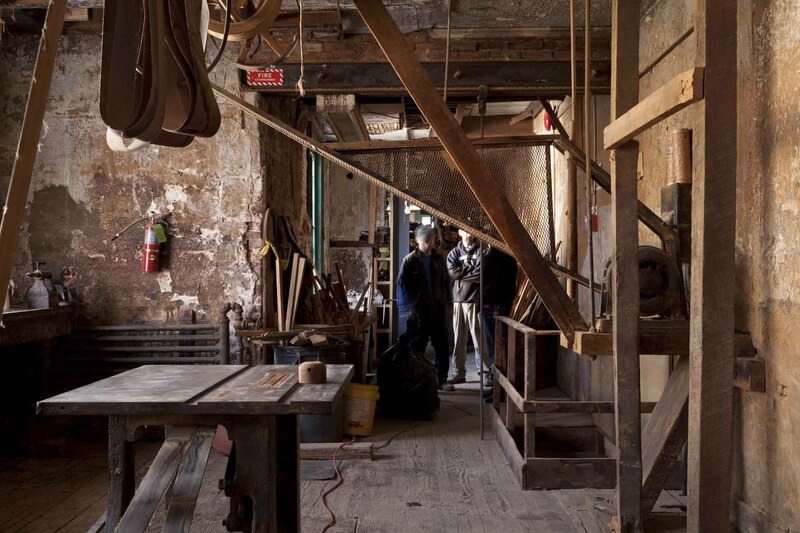 And Old City, where his business was located until closing in 2003, was the crucible of Philadelphia’s Workshop of the World. German immigrants Stortz and Grass’s son-in-law Louis Bower took over John Grass in 1911 and moved it to the present location on North Second Street, a building that had already had several lives: as an oyster house and tavern, a liquor store, and a steam packing, belting, and rubber goods factory. The Grass office and main workshop was located in the still-intact first floor. 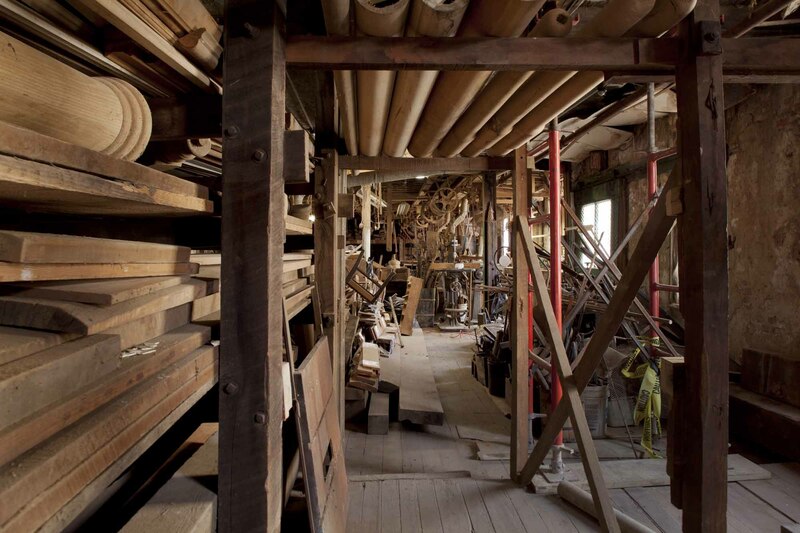 The shop continues on the second floor, where the lathes and other equipment date from as early as 1870. 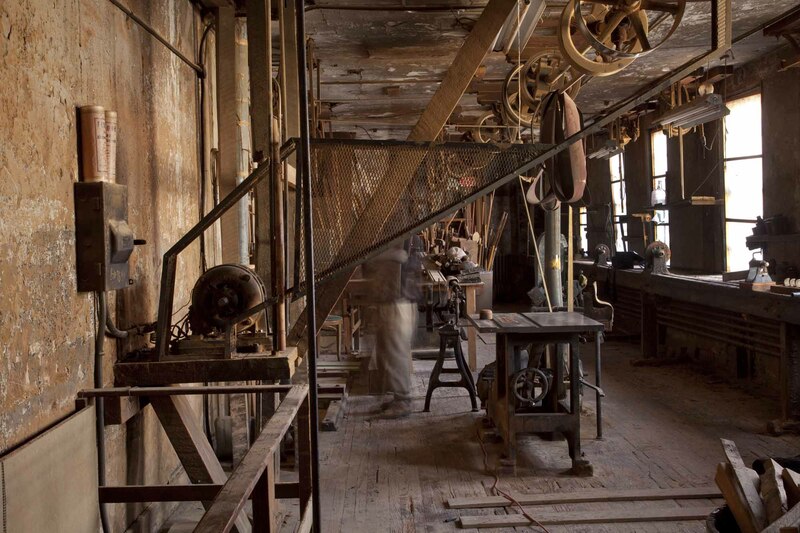 The machines were largely powered by overhead line shafting and belts, once driven by a steam engine in the basement, now replaced with an electric motor.